Startup Weekend Santa Monica! 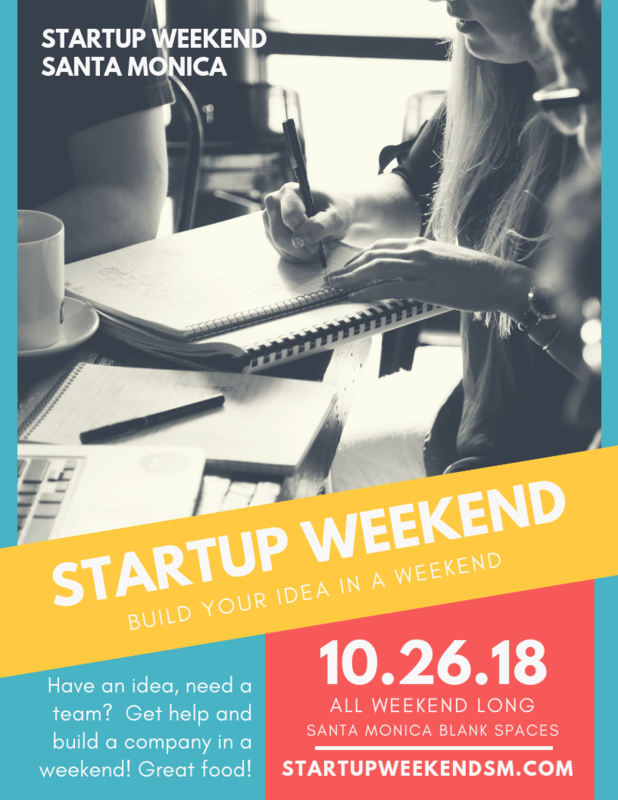 Begins Friday 10/26/18 at 5:30 p.m.
Do you have an idea you'd like to pursue but don't know where to start? Santa Monica Techstars Startup Weekend is the place to look for a team, create a prototype, validate your business idea, and receive feedback from experienced entrepreneurs, all in one weekend. Interact and learn from mentors and investors with BAM Ventures, LUMA Launch, TechStars, Lightspeed Innovations, TALA, Amazon Studios, and many more. Please note the idea you bring should not be your current business, but a fresh idea you want to explore. USPTO Patent Pro Bono Program - Onmi Hotel L.A. 10/4/18 at 5 - 6 p.m.
Don't Miss: The Criminal Law Section of the John M. Langston Bar Association of Los Angeles presents Hot Topics in Criminal Law. This CLE free event will be held on Thurs., Aug. 16, 2018, at 361 S. Robertson in Beverly Hills. Networking at 6 p.m. and CLE program begins at 6:30 p.m. This is a sponsored event, free registration, please RSVP to assist with planning. Use this link to get further information and RSVP. Please visit the Langston Bar Assoc website for full details on all upcoming events. Joint Los Angeles City Council President Herb Wesson in his "Rally of Support for Temporary Homeless Housing Facilities"
Join us for our Annual Judges' Night, taking place at the beautiful Annenberg Community Beach House on May 24, 2018. 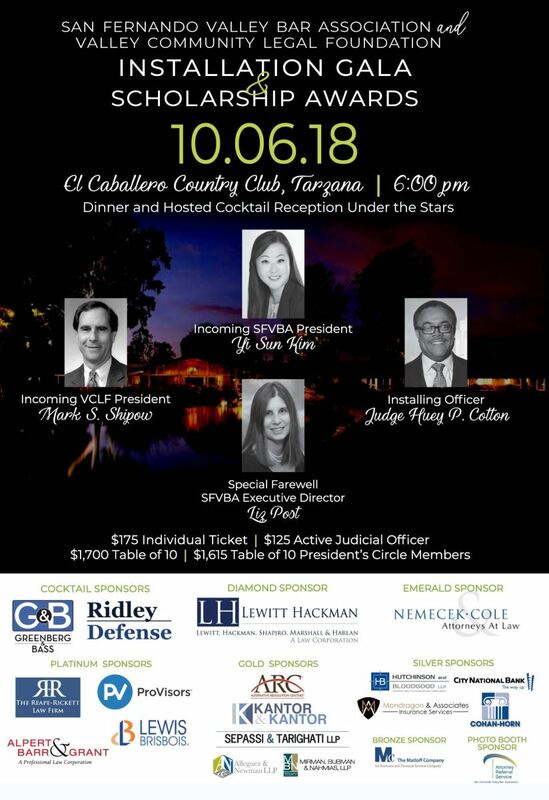 The Santa Monica Bar Association's Annual Judges' Night honors our judges serving the Los Angeles County area and thanks them for their continued dedication and contribution to the community and administration of justice. Enjoy a lovely evening with members of our judiciary, meet sitting and retired judges, and mingle with friends and colleagues in a beautiful setting. Pepperdine's Journal of Business, Entrepreneurship, and the Law ("JBEL") is hosting its annual symposium, START-UPS & THE LAW, on March 28 at Cross Campus in Santa Monica. The symposium features two panels, one on start-ups and the other on intellectual property as it relates to start-ups. Tickets are $10 and include access to the symposium, hors d'oeuvres, and two MCLE credits. CLICK HERE for more details and ticketing.